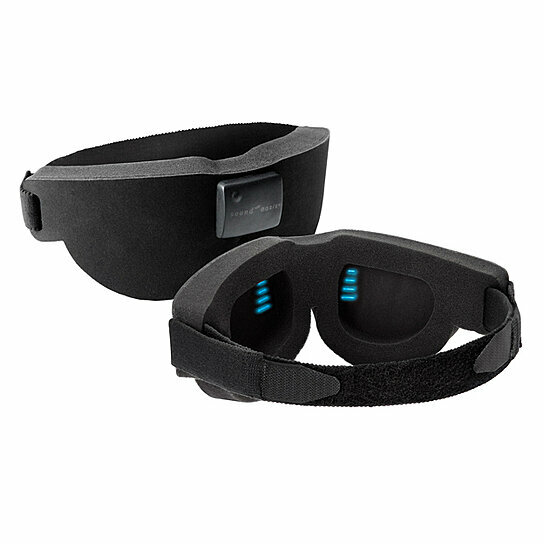 Sleep Therapy Mask | Switch off your mind. Feeling sleepless or stressed out? Are your struggling with sleeping difficulties and troubling thoughts? Switch off your mind! DELUXE Glo to Sleep is a safe, natural and effective way to help you get the sleep you need. Ancient wisdom joins with modern technology creating a revolutionary new way for you to clear your mind, quickly relax and get to sleep naturally. Sleep issues are often the result of an overactive mind at bed time. Sound Oasis DELUXE Glo to Sleep will help you focus your mind on the process of relaxation and sleep - naturally and effectively. Whether it's for a full night's sleep or just for a nap, our unique, patent pending technology will help you fall asleep quickly, sleep deeper, stay asleep longer and wake up feeling rested. On the plane or the train, at home or in a hotel room - we wish you a great sleep.